A motorcycle manufacturer that is selling its products all over the world has to ensure that spare and expendable parts reach the customers reliable. 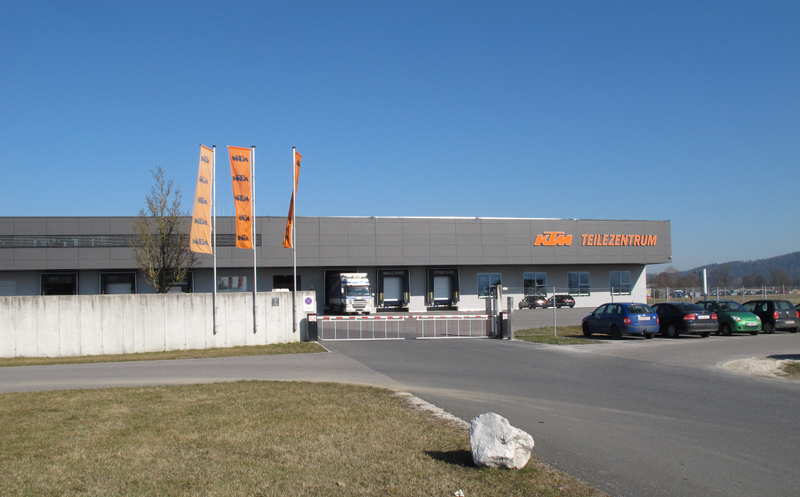 The KTM spare parts center works at full throttle in order to keep pace with the constantly growing sales figures. 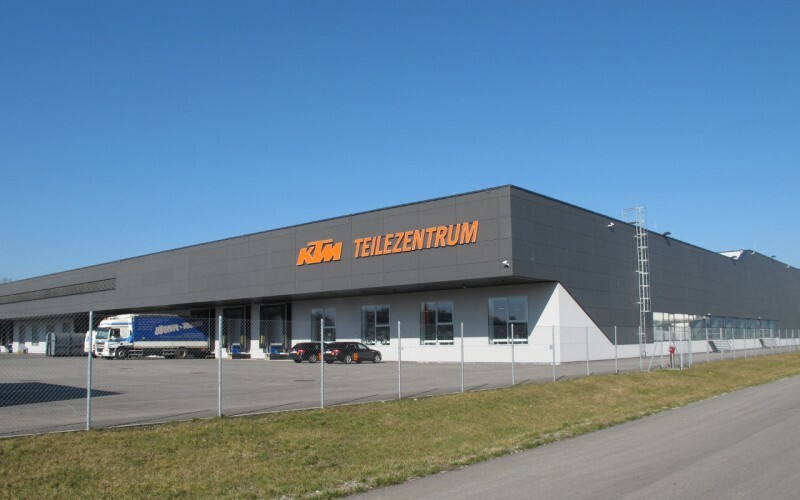 KTM Straße 1, Mattighofen – that´s the KTM Spare Parts Center´s address that stands out a mile at the outskirts of Mattighofen. The state-of-the-art building was built in 2007. 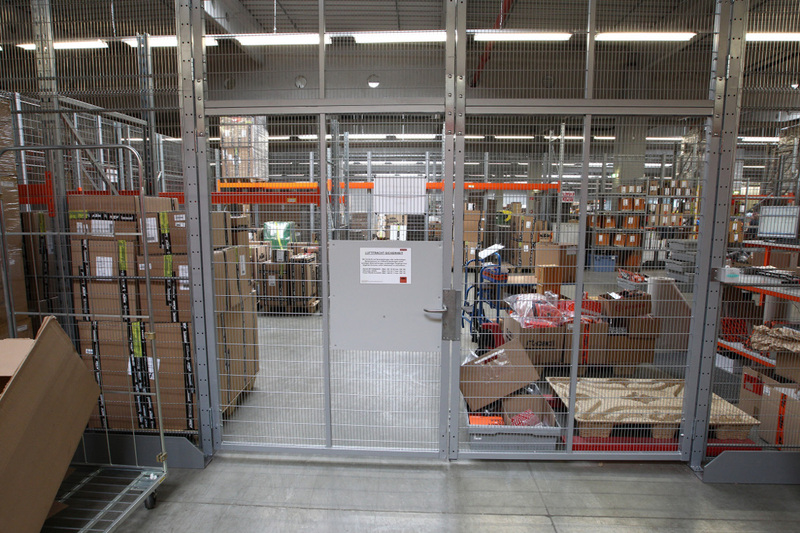 Only five years later, at the end of 2012, the storage area was already extended from 10,000 to 16,000 square meters. That almost equals an area of two and a half football pitches. Overall 130 employees work in two shifts, 80 of them work in the storage area and 50 in administration. Above the storage area are located the offices of KTM PowerWear and PowerParts. 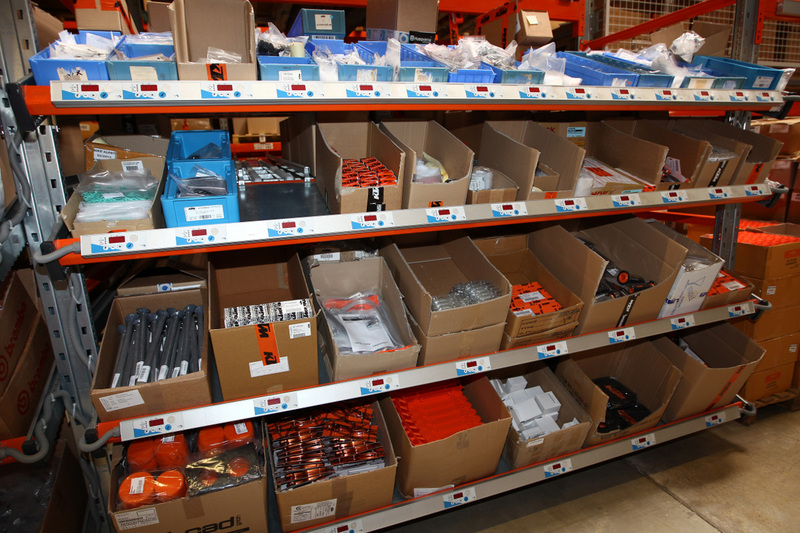 The KTM Spare Parts Center ensures the worldwide supply with spare and expendable parts. Whether frame, gearshift, engine case or airfilter, brake pad or water pump cover gasket – all spare parts of the latest models, down to the tiniest screw, are stored in Austria to be send to the dealers and importers on demand. Even parts of former model ranges are preserved – at least 10 years. The rate with which orders are handled verges on magic. All orders placed until 11am are processed and send out at the very same day, so that dealers in Europe receive the ordered goods in the course of the following day. The availability of parts is impressive: 98 percent of the orders can be delivered immediately. 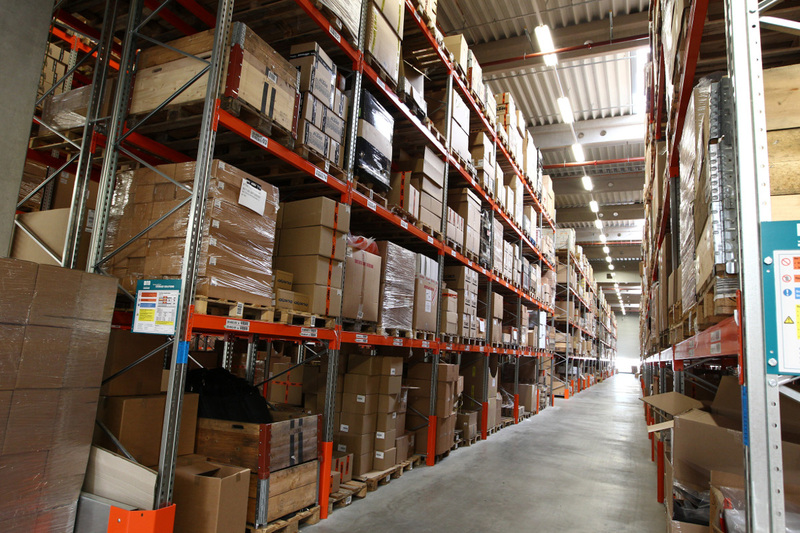 The KTM spare parts center stores more than 40,000 different parts. Many of them in two or even three digit quantities. Every year, believe it or not, the spare parts center processes three million ordered items – on average that means 11,000 collected, packed and shipped items per day. Logistics experts call them “order line” (for every item appears a line on the monitor), just as a side note. 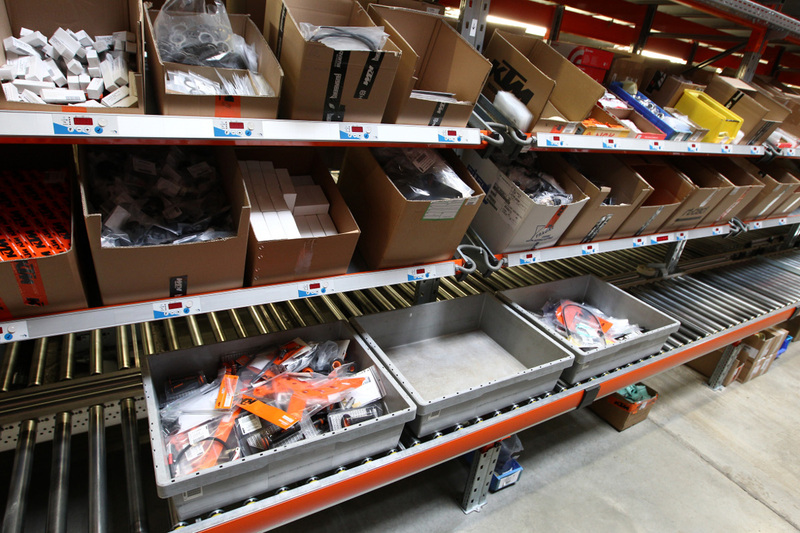 The KTM spare parts center stores more than 40,000 different parts. […] Every year, believe it or not, the spare parts center processes three million ordered items – on average that means 11,000 collected, packed and shipped items per day. The spacious warehouse is separated into several areas. One part of the area is occupied by impressive pallet stores, for big and awkward items and super-sets, that extend almost to the ceiling. For so called “slow movers”, parts that are ordered less frequently or belong to models of former model years, there is a separate area on the second floor. Another area, a maze of narrowly arranged and bulging shelves, is reserved for screws, nuts, washers and a vast amount of other small parts. Those who work here and are familiar with the storage system belong to the undoubted specialists with photographic memory. At a remote place in the flow rack are frequently ordered items and expendable parts stored, the so called “fast moving goods”. The goods are collected via boxes that on a belt pass six stations each staffed with an employee. Labelled with a barcode scan the boxes are related with a certain order. A computerized system ensures that a light flashes at the shelves to indicate the ordered items and a display next to the light shows the ordered quantity. This timesaving system is called “pick by light” and supports the employees to choose the right items. At the front of the Spare Parts Center are locks and ramps for the goods’ in- and output. Every day numerous trucks arrive at the spare parts center with 50 to 300 pallets of supply items. 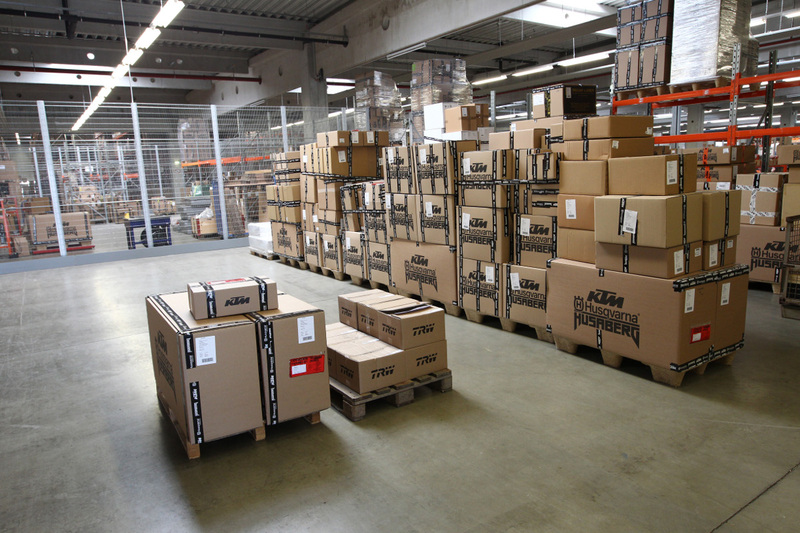 The suppliers deliver 85 percent of the items ready in KTM packaging, with barcodes and labelled part number – so to say “Ready to Send”. Only 15 percent of the items, mostly small parts as screws, rubber and seals, are loosely stored and need to be packed or baged before shipping. At the centre of the storage area is some kind of oversized cage located. In this area specially trained staff processes and wraps up air shipments according to guidelines that need to be observed accurately. Airfreight packages require special cartons and security tape in order to prevent that unauthorized persons remove or add items. Dangerous goods like batteries, glues, paints or aerosol sprays need to be packed separately. The transport is managed by certified shipping companies to ensure that at the airport the airfreight can be shipped without additional security scans, checks and time exposure. 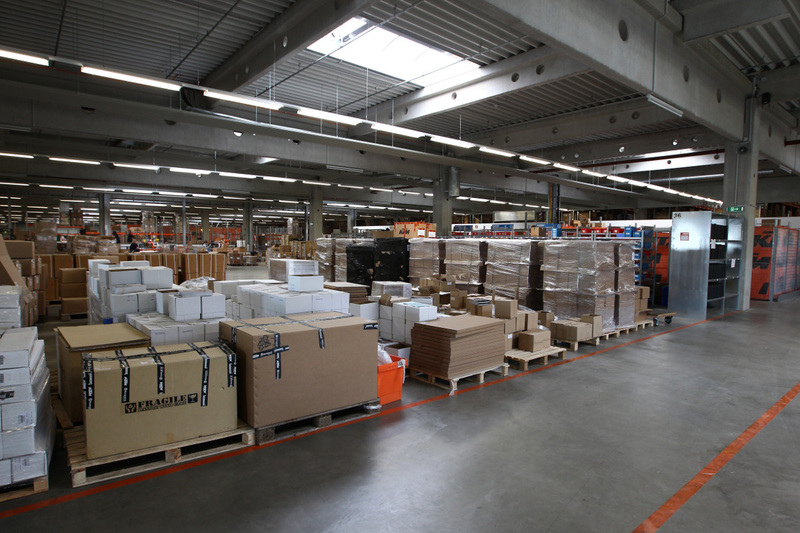 Claims are handled in the relatively small goods return department. An employee processes and checks the returned items, replace the items or realigns the items into the stock. Dealers can return mistakenly or wrongly ordered items for a credit note, but it is charged a handling fee of 15 percent. However, this fee is often omitted as a gesture of goodwill. The atmosphere in the KTM Spare Parts Center is extremely busy. 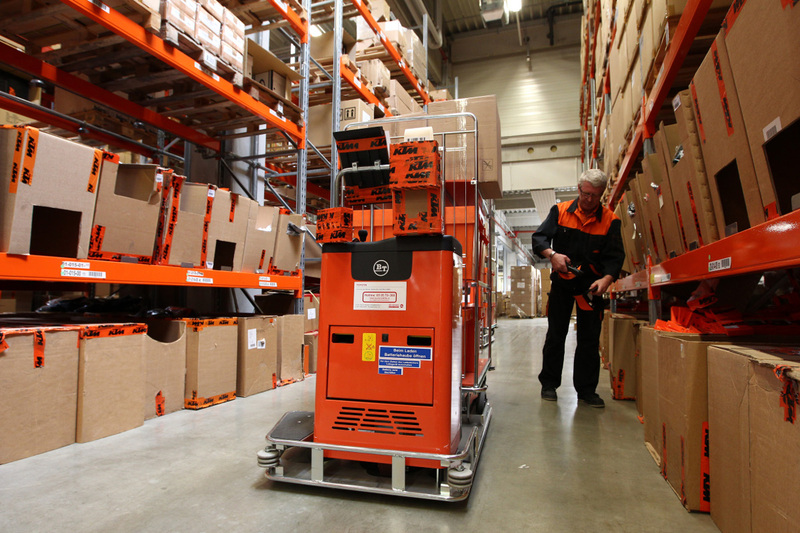 Overall 25 electrically-operated forklifts, lifting carts and picking tractors rush through the shelves. All along warehouser take items from the shelves or restore boxes and pallets. Everywhere engines are buzzing, hand-held scanners are peeping, everything and everybody is on the move. The pallet storage applies the “chaotic storage system”, which means that new goods are stored wherever unobstructed space can be found. Networked computers, merchandise and stock programmes keep track of the items and support the staff to retrieve them. The collected items of every order converge at 24 packing stations. Diligence in execution has top priority: in order to check the completeness all items are individually scanned a second time. This helps to keep track as good as possible and reduce the error rate. The billing is effected automatically by the computer system. Statistically remarkable: Every year the hardworking staff at the packing tables consumes 2,500 km of cellotape. Every year the hardworking staff at the packing tables consumes 2,500 km of cellotape. 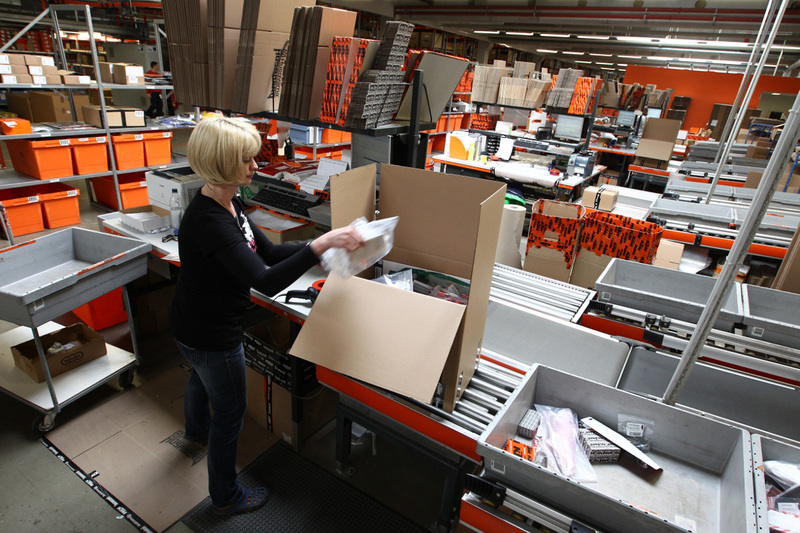 On average, every day 1000 packages with spare and expendable parts, as well as PowerWear and PowerParts, are prepared in the Spare Parts Center – depending on season and order situation even more. The processing of comprehensive collective orders for importers and subsidiaries (such as KTM North America) is handled at separate packing stations. The quantities are significant: It´s not unusual that orders from Australia include quantities of 20 or 25 pallets at a single blow. There are specific packaging areas for sea freight. However, the process is the same: before wrapping up the items into sturdy transport crates every single item is scanned again. 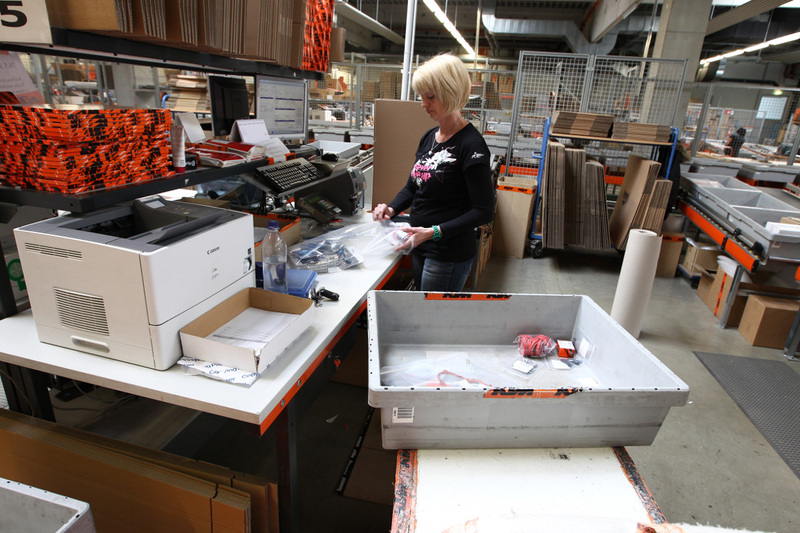 By using the system the employees trace which items are already picked, ready for packaging or already packed. Finally, all packages reach the shipping area. Everywhere are piled up boxes and packages ready for pickup. If necessary, the “clearing station” handles final clearance formalities. Vans and trucks pick up the shipments that are ready for dispatch. Basically KTM cooperates with all well-known international courier services and hauliers. It´s impressive how complex, however smoothly the logistics at the Spare Parts Center works. The effort is absolutely necessary, because nothing is more annoying for customers than having to wait for missing or undeliverable spare or expendable parts. 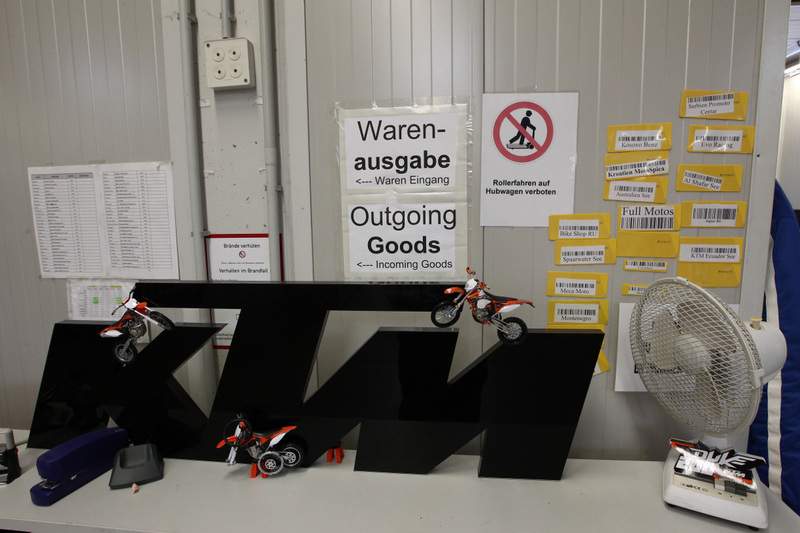 Every day the KTM Spare Parts Center in Mattighofen takes care that the Orange World does not run out of parts. Here in India,even if I want to Buy a Spark Plug for My 390 Duke,the dealership refuses to give it, says they have the orders from the company to not to sell the products.They says that, I need to bring the bike to the Dealer to get anything changed. 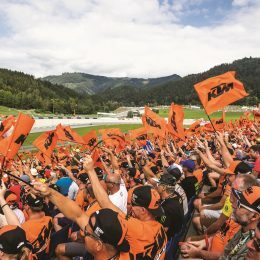 DID A BIG MISTAKE KTM! 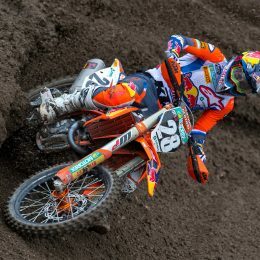 I need the ktm exc f250 spare parts wholesale and best price. Please approach an authorized KTM dealer. I have a KTM wheel and I would like to know which original model bike it came from. Is it from a LC4 Adventure? The part number in the hub is 753.10.010.100R. I can not find this part number in your online catalogue. My dealers say that they can not find this part number on the KTM parts computer so they can’t help me. Could you also please tell me the part numbers of the sprocket carrier and the rubber inserts which go with this wheel? Please approach your local KTM dealer. They can assist with the oragnization of spare parts. It´s maybe difficult to get spare parts for older models, but probably your local dealer can offer help or advise you where to go. Wow what a comprehensive and well ran system you have – what a pity I have to wait over 6 (six) weeks for a gear shifter lever – part number 90134031133. This is unacceptable and in todays market its unheard of. I love my KTM and have always had one in one form or another but 6 weeks for a part is frightening, I’m off the road and can’t travel anywhere, not to work or to the shops. 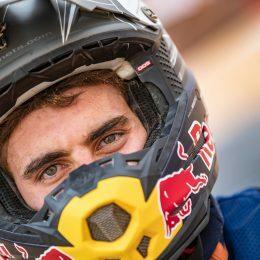 I’m stuck and all I get from the dealer is sorry – not good enough..
What is causing the cylinder to vrack on the 85 cc dirt bikes had mine repaied and it cracked again …. looking for cause ??? I Have a KTM 950 Adventure 2005 Black and need a “pre formed hose” is a little rubber hose from lubricant system. Do you have this hose on stock? What the cost for same?